DIYode members have access to use this device to diagnose and program their VW-Audi Group cars. The VAG-COM cable is not at the workshop. Contact Mark Zander to arrange to borrow the cable. You can download the VCDS software from Ross-tech. You will need a laptop with a USB interface running Windows XP. 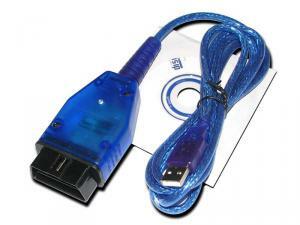 VCDS is Windows-based Diagnostic Software for VW / Audi / Seat / Skoda. It uses a propriatary cable which plugs in to the ODB-II port on your car. This belongs to Mark Zander and you should contact him if you would like to use it. I also have a Vag-Com cable that member are welcome to borrow. I also have a Bluetooth OBDII dongle that can be used with your Android phone or tablet if you just want to pull codes. Might also work with Apple devices, but I have no experience with iOS software.